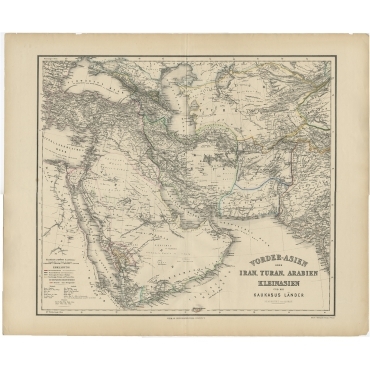 Antique maps of Central Asia, covering from the Caspian Sea in the west to China in the east and from Afghanistan in the south to Russia in the north. 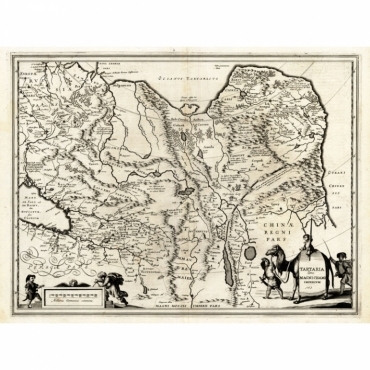 Bartele Gallery offers antique maps of Kazakhstan, antique maps of Kyrgyzstan, antique maps of Tajikistan, antique maps of Turkmenistan and antique maps of Uzbekistan. 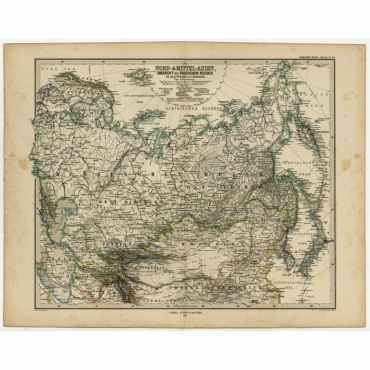 Also included in this category are regional antique maps of the Russian Empire. 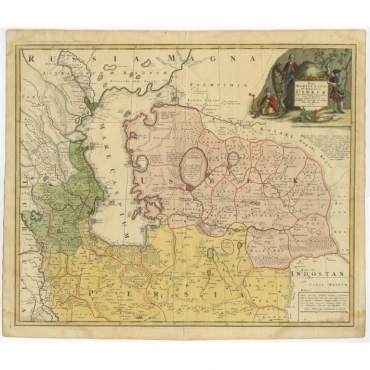 Antieke kaarten van centraal Azië, van de Kaspische Zee in het westen tot Centraal-China in het oosten en van Afghanistan in het zuiden tot Rusland in het noorden. 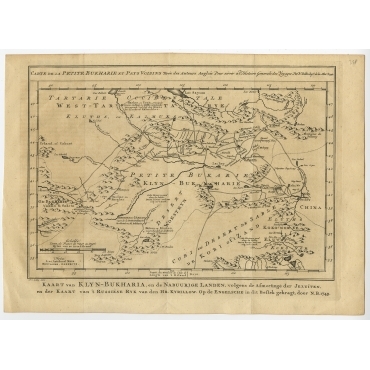 Bij Bartele Gallery vindt u in deze categorie antieke kaarten van Kazachstan, antieke kaarten van Kirgizië, antieke kaarten van Tadzjikistan, antieke kaarten van Turkmenistan en antieke kaarten van Oezbekistan. Ook vindt u in deze categorie antieke kaarten van delen van het Russische Rijk. 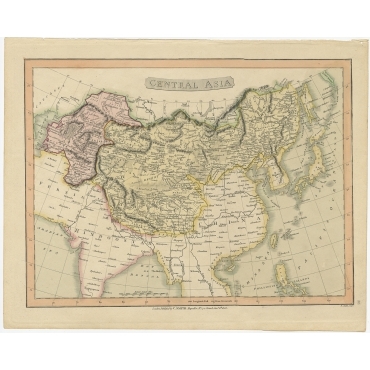 Antique Maps | Central Asia There are 21 products. 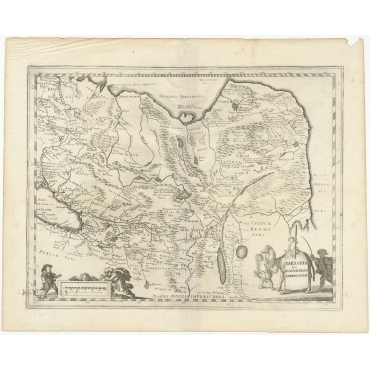 Antique Map titled 'Tartaria sive Magni Chami Imperium'. 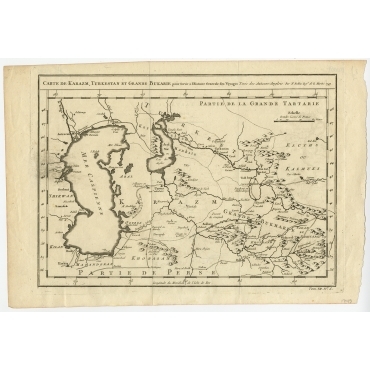 (Tartary) This maps shows the cities of Rivdeo, Asturica, Leon, Aviles, Santillana, Bilboa, Burgos, Palencia, Camora and others. Map: 'Forschungsreisen in Asien, Mittelalter und Neuzeit.' (Map of explorations / expeditions in Asia, middle ages and modern time.) 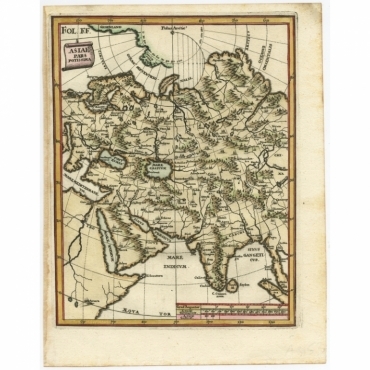 We carry slightly different maps from different editions, this copy from the 5th edition. Please inquire. 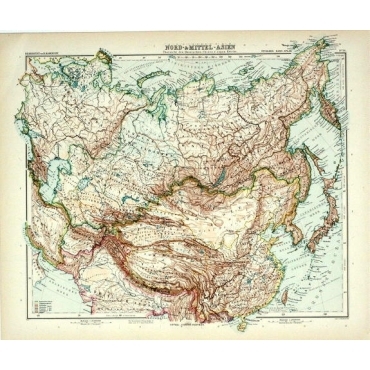 Map: 'Zentral-Asien.' 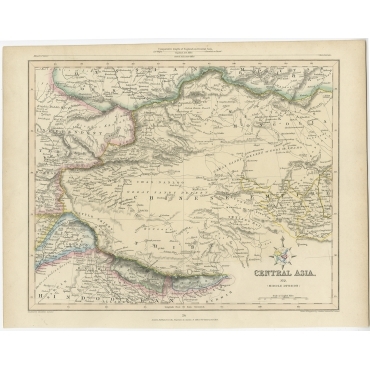 (Map of Central-Asia). 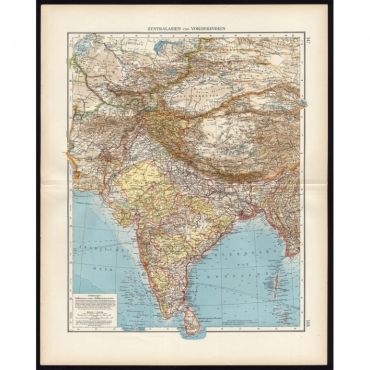 This map shows Tibet, Nepal, Afghanistan, and the far north of India. 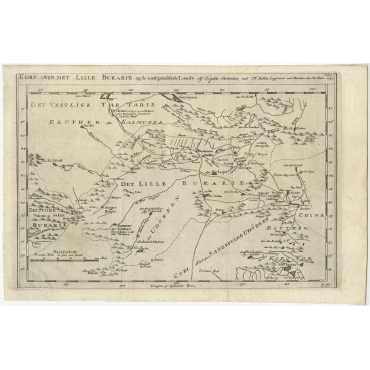 This map from the 4th edition of Meyers' Konversationslexikon. Map : 'Bouches de L'Amou - Daria.' 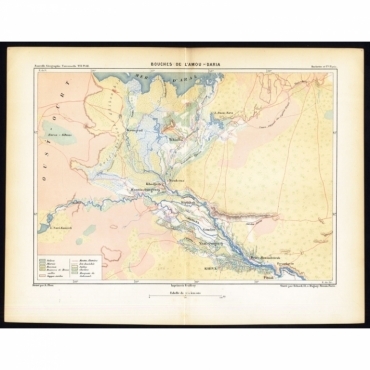 This map shows the river mouth of the Amu Darya river in Central Asia. 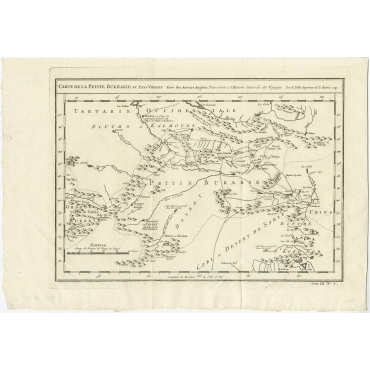 Antique print, titled: 'Theatrum Historicum pars Orientalis.' 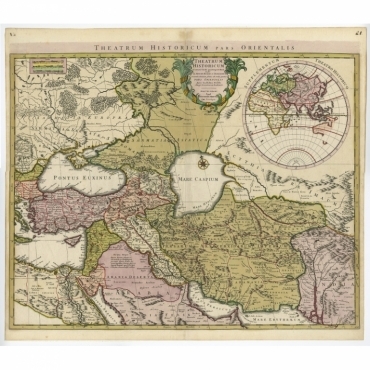 - Finely engraved historical map with a profusion of details. It shows the Middle East and Asia. Decorative title cartouche and inset representing the Eastern hemisphere symmetrically shown in upper right corner.